And so we awake on the second day since the election. With 95% of votes counted we’re in firm territory now as far as voting trends are concerned . So we can start guessing which way the new parliament might be formed. Here are the main issues for Tuesday. The Election Commission will meet today to decide what to do with the ‘invalid’ ballots delivered late to polling booths. In one example, the Thai Embassy in New Zealand and Thai Airways have both defended their situation saying they did everything correctly by getting the votes sorted and delivered in time. Whether the votes are included or not will come down to decision from the Election Commission. The bottomline, the votes won’t change the big picture although we are sure the expats voting in New Zealand would like their votes to be counted. The body tasked with running the election, counting and collating the votes have come under attack from all sides. From minor lapses in security, a few poorly handled situations in booths to some more major accusations that are currently being investigated by police. The overseas observers have not been particularly impressed by the EC’s performance either citing a number of small issues at booths around the country. But the EC’s biggest battles are yet to come as they will be forced to adjudicate on who has the right to form a coalition. 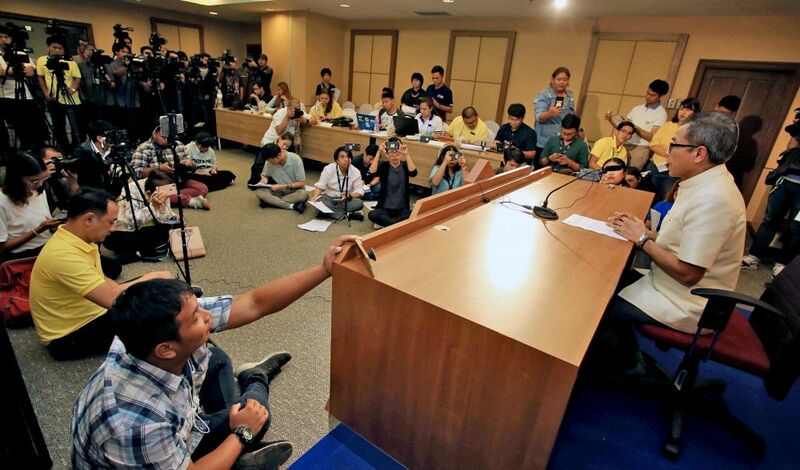 Both Pheu Thai and Palang Pracharat maintain they have the ‘right’ to form a lower house government. Just imagine all the late night phone calls criss-crossing the country at the moment?! We won’t even get started on the petition to oust the Election Commission which has already gained over 600,000 signatures. No one party will have an outright majority to form a government. Both Palang Pracharat and Pheu Thai will have to do deal with ‘hostiles’ in order to make up the numbers to form a lower house government. There are very few combinations of parties coming together where a LOT of distance will have to be covered to merge their competing policy differences. 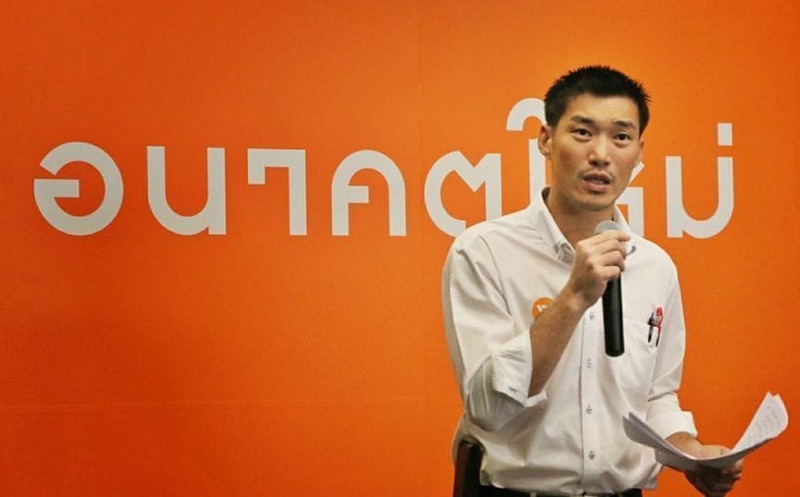 Future Forward, the party with the third highest total seats, has little common ground with Pheu Thai, apart from wanting to rid the country of the military government. They’re even further, terminally separated really, from Palang Pracharat. Future Forward has laid down three conditions for a coalition, based on its campaign pledges – to rewrite the constitution, eliminate the legacy of military coups and push for military reform so coups won’t happen again. Their 80+ votes would push Pheu Thai into an extremely strong position to form a government. 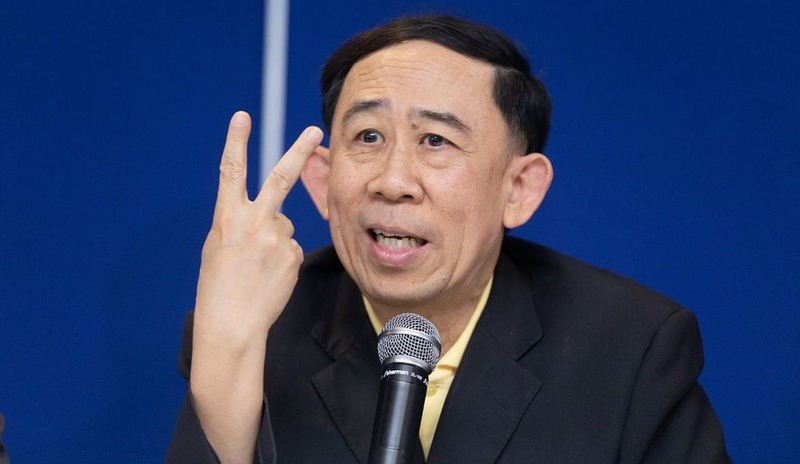 But the Democrats and BumJaiThai are likely more accommodating to negotiation, although seeing the Democrats side with Pheu Thai, once mortal political enemies, would be a long-shot. It’s more likely the Democrats would, if pushed, side with Palang Pracharat with their 53 lower house seats. 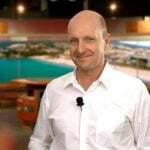 BumJaiThai is more complex to predict which way they will side. Their 51 or so seats will be a powerful swing, whichever way they go. The other smaller parties, together, add up to a crucial buffer for one party or the other. Casting our eyes into the political crystal ball (always dangerous in Thai politics), The Thaiger thinks that the Pheu Thai party is the more likely to be able to form a government – either with a decent majority (with BumJaiThai giving them their votes) or with the merest of slim majorities if BJT side with Palang Pracharat. Either way Pheu Thai are going to have to let some of their power slip to accommodate the other parties. And you can be assured that Thaksin is sitting comfortably, still in exile, crunching numbers and overseeing the discussions. Even if this happens, the pro-military Senators may ignore the lower house mandate (if Pheu Thai pull it together) and side with Palang Pracharat to install Prayut as the PM of a new minority Government. This would be highly unstable with almost all legislation being voted down in the lower house and needing both houses to sit to pass any new legislation. It wouldn’t be pretty. The Election Commission announced yesterday that they wouldn’t announce the official results of the election until… are you ready… May 9! That’s after the coronation of HM The King. Whether parties can legally negotiate until the official results of the March 24 have been announced is a moot point – they already have. The Coronation will therefore take place with a caretaker government and that point hasn’t even come up for discussion yet. Thaksin Shinawatra would be disappointed that his Pheu Thai government didn’t poll better but he’s already stated the bleeding obvious; that the system was specifically rigged to lessen the chances of yet another Pheu Thai victory. 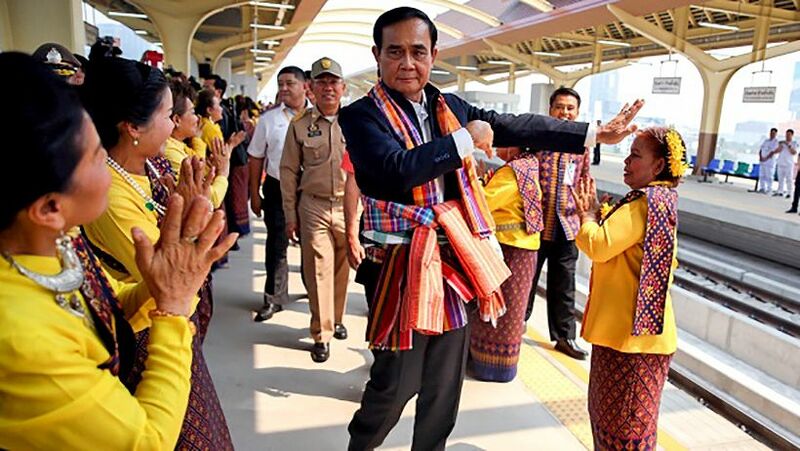 Despite living in exile, his political cunning will be felt in the coming weeks as he cobbles together a Pheu Thai coalition with other parties.